Adventure awaits along the Delaware River! region’s leading attractions, great for employees, but also for those who are looking for a fun new date night or a way to entertain the out-of-town relatives. There are lots of easy ways to get from Philly to the aquarium. 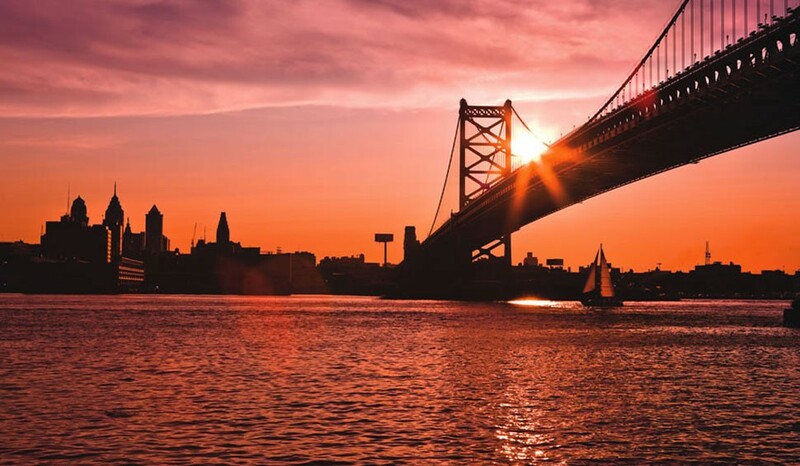 It’s just a 10-minute drive from Waterfront II over the picturesque Ben Franklin Bridge to the aquarium. Those seeking even more adventure can hop aboard the RiverLink Ferry. The ship leaves from Penn’s Landing and sails straight across the river, giving passengers spectacular views of the river on the way. The ferry runs May-September. Once on the other side of the river, visitors can dive right into all that the aquarium has to offer. With more than 8,000 animals, the aquarium provides plenty of opportunities for both entertainment and education. Interactive exhibits let visitors get up close and personal with the creatures, even allowing them to plunge their hands into the water and touch everything from stingrays to jellyfish. The aquarium features demonstrations where visitors can go behind the scenes to see how the animals are cared for and a 4-D theater that takes the fun to the next level. Whether visiting the aquarium or working there, the opportunities don’t have to stop when you leave the aquarium’s doors. Along the Camden waterfront are attractions like a Naval battleship, a Minor League Baseball stadium, a 25,000-seat open-air theater, historic homes, and lots of other ways to explore the area. With apartments near the Adventure Aquarium like those at Waterfront II, residents can enjoy the best of both Philadelphia and Camden—whether they’re working, playing or a little bit of both—all just minutes from home. On both sides of the waterfront, adventure abounds!